How can we complete your research needs? CRC's qualitative offerings include, but are not limited to, focus groups of any size, IDIs, dyads, and in-context projects (such as in-home or store intercepts). Our Columbus facility has five rooms tailored to meet the size of your project needs from small to large. Rooms include an IDI suite, three focus suites, and one large multi-purpose creative space, all designed with the client and moderator in mind. ​Located in Grandview Heights, our facility has all the amenities of a downtown location with a suburban feel. ​And our services aren't limited to the facility! Check out our technology page for other services available from the CRC team. As a certified, woman-owned business enterprise, CRC is the complete connection for your market research needs. From research design through data collection, analysis, reporting and presentation, our team of experts make sure that project requirements are met within your specifications, timeline, and budget each and every time. Led by President, Chelle Precht, our Research Associates team is proficient with all marketing research techniques (qualitative, quantitative and mixed methodologies). 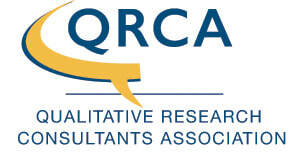 Whether at our facility in Columbus, or nationally, CRC has conducted hundreds of quantitative research projects. Including methodologies such as Telephone, Taste Tests, Home Use Tests (HUTs), Central Location Tests (CLTs), Dial tests and online surveys just to name a few. Need help with data entry? We have trained staff available to assist with coding and entering close-ended and open-ended surveys. We are experts at small data quantitative data collection and project execution. ﻿﻿With a panel of over 25,000, we have the respondents that clients are looking for to complete their research needs. Looking to make some extra cash by simply sharing your opinions? Please join our panel by filling out our participant form and check back on our website for new surveys as they become available.